When people think about bonding with a newborn, images of a mother and her baby tend to come to mind. But it’s also vital for fathers to spend quality time bonding with their babies, writes daddy blogger Don Dinnematin. As a new dad, there were quite a few worries that flew around in my head. Front and centre was this one: how I was going to bond and make a connection with my baby? A mother’s bond naturally starts right at the beginning of pregnancy and continues to grow and strengthen throughout. But what about dads? How do we establish a bond that is just as strong? Research has shown that when dads spend time with their newborns and begin developing a strong relationship with them from the very beginning, they reap a number of benefits. A child’s physical and mental development is significantly boosted when their dad has played with them from the start, compared to children whose fathers took a more hands-off approach. Children who experience close interactions with their fathers from an early age tend to be more successful academically, have better relationships with their peers and be less likely to get involved with crime or abuse drugs and alcohol. 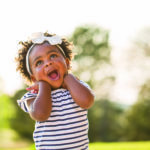 For me, the answer came easily, and I am going to share a few of the ways other dads can also bond and create special connections with their babies. One thing I did even before birth was attending all of the doctor’s appointments with my wife. Going with her to the doctor not only helped our connection with each other, but it kept me updated on the progress of the pregnancy and built up my confidence that I was contributing something positive as well. Plus, when you get into the habit of going, it becomes natural to continue attending your baby’s check-ups at the paediatrician. Another thing dads can do is to attend a baby-care class. Many local hospitals and early childhood organisations offer classes for both parents. Talk to the baby. At around 34 weeks of pregnancy, your baby can learn to recognise your voice if you talk or sing close to your partner’s stomach. That is an easy way to start true bonding with your baby. Become involved in your child’s routine. Because my wife breastfed, I had to get involved in different ways. I changed a lot of nappies and bathed our baby. Bathtime was our thing and was a great time of interaction. Sing, talk, and read to your baby. It doesn’t have to be traditional nursery rhymes or lullabies either. Take lots of pictures or videos. How does this help to build bonds? Well, part of securing a good bond with your baby has to do with your attitude. If you feel calm, happy, and confident, it’s likely your baby is feeling that as well. Pictures and videos you share with others will elicit those positive comments and compliments all new dads need to hear. Make sure you have some alone time with your baby. Babies interact differently with each parent. This time can be an exploratory time for both you and your baby. This is a huge way to build strong bonds. Wear your baby. Babywearing has become a trend and it is one of the most satisfying ways of not only bonding and keeping baby really close, but it is also a great way for dads to be hands-free at the same time. This is a great way to get in some skin-on-skin bonding. Get involved in the bedtime ritual. The term nursing implies not only breastfeeding but also comforting. While only mothers can breastfeed, fathers can also nurse. 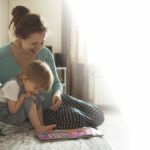 Develop your own list of bedtime rituals such as bathing baby, singing to your baby and reading stories to the toddler. 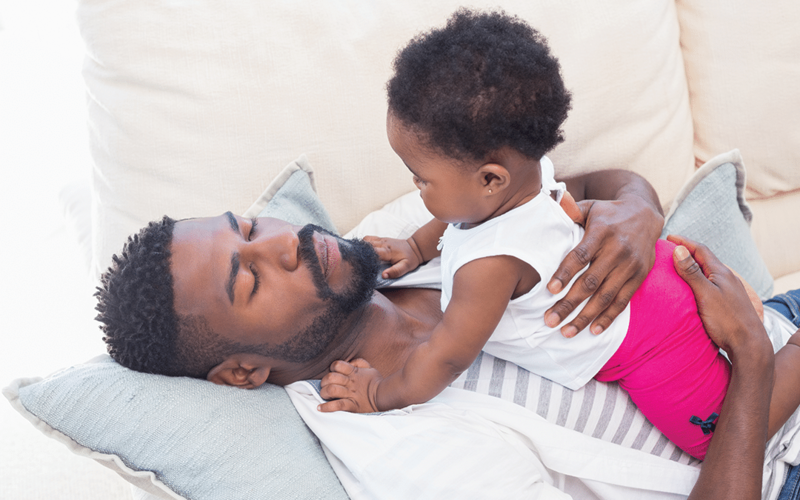 Although all of this may sound like common sense ways to bond with baby, it doesn’t always come naturally to every new dad. I think the most important thing to keep in mind is that there are always other dads out there to talk to. Don’t be shy about talking to some of your friends who have had babies of their own. You’ll more than likely find that you both had similar feelings and experiences.